Vivica A Fox popped by Watch What Happens Live last night in a white Versace blazer dress and Rene Caovilla white pumps. Her dress is from Versace’s Pre-Fall collection. See similar details on the gown below. 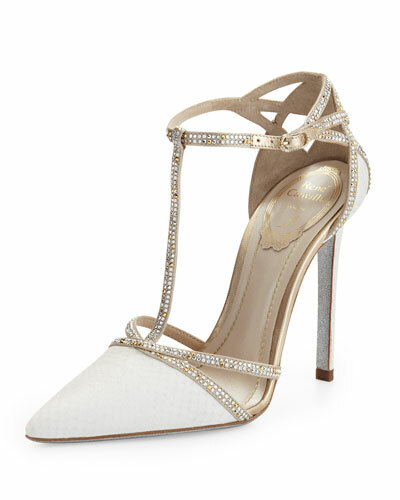 Her 4″ heels have and Ayers snakeskin and satin upper.and the brand’s signature glittered sole. Show the young’ns how it’s done! What’s In Her Shoe Closet? Taraji P. Henson in Dolce & Gabbana, Rene Caovilla, and Valentino!